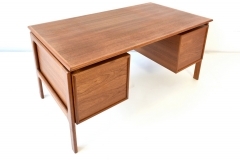 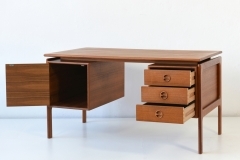 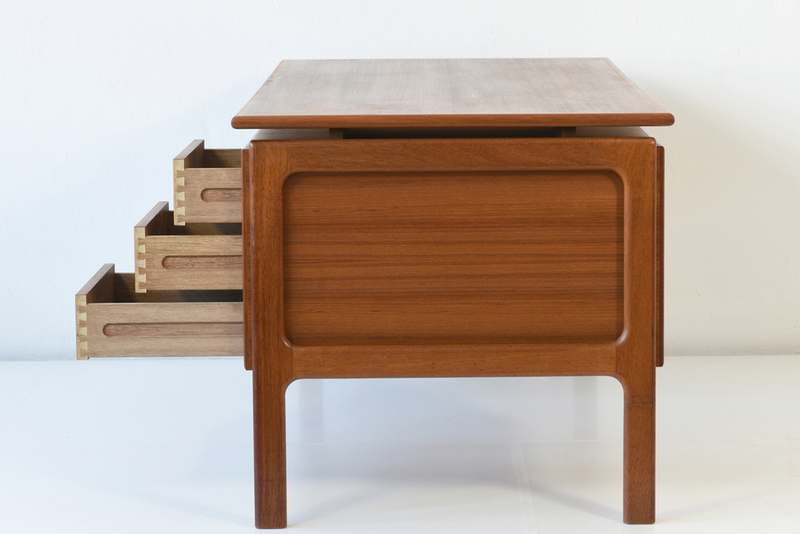 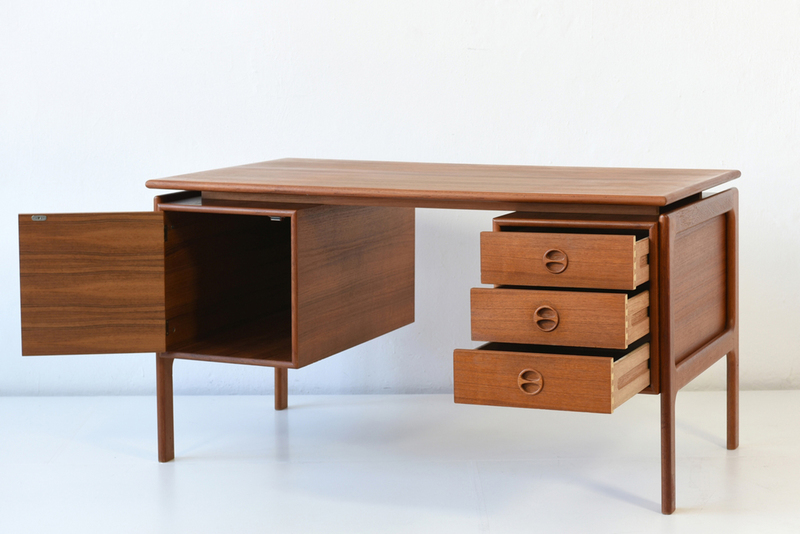 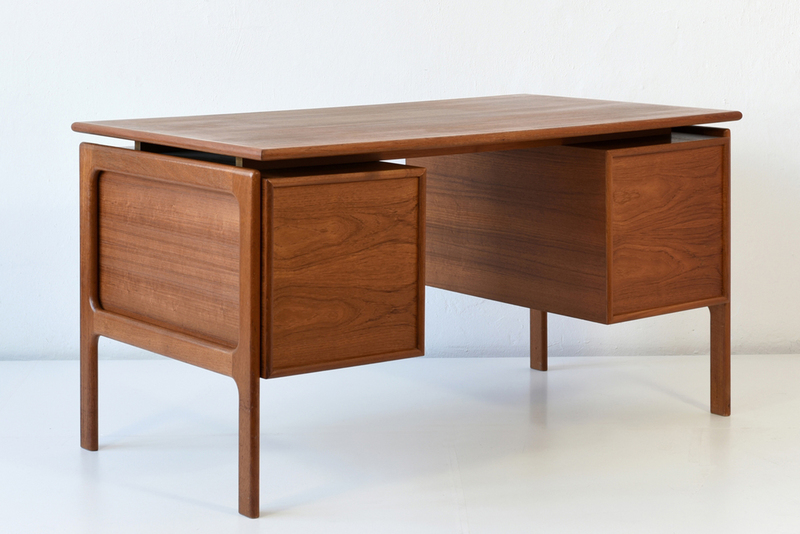 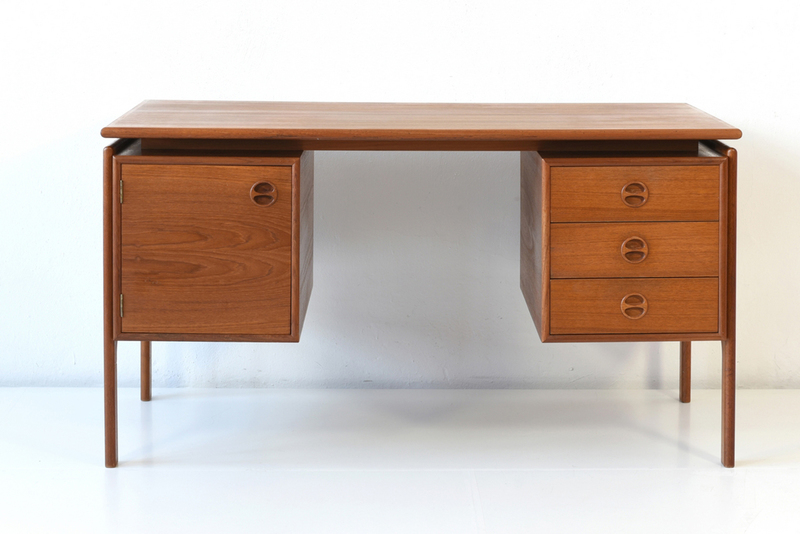 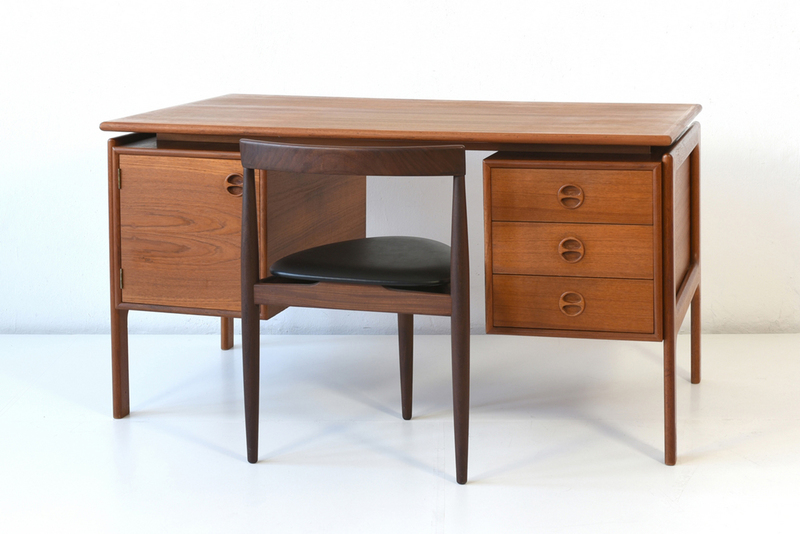 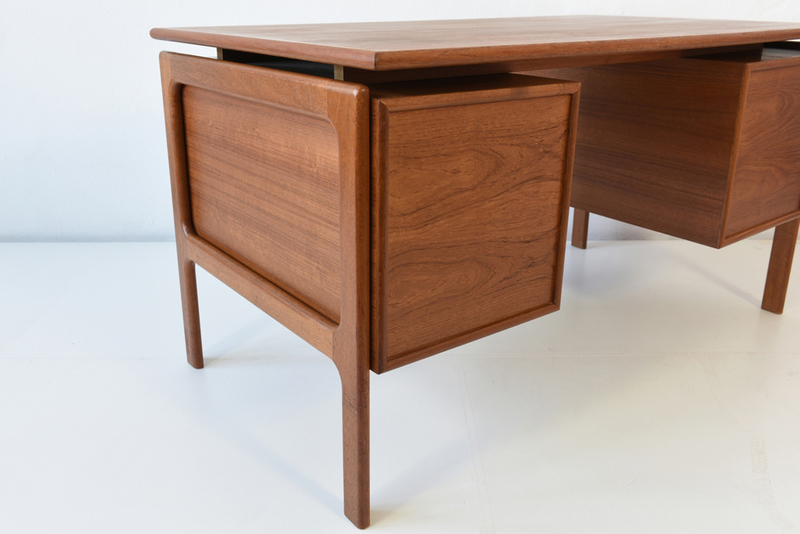 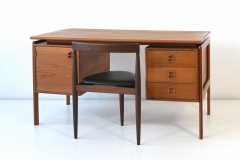 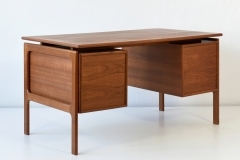 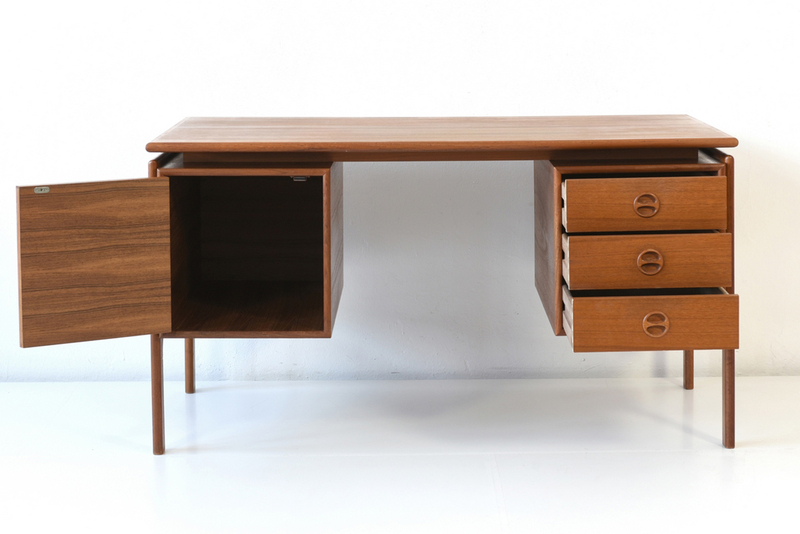 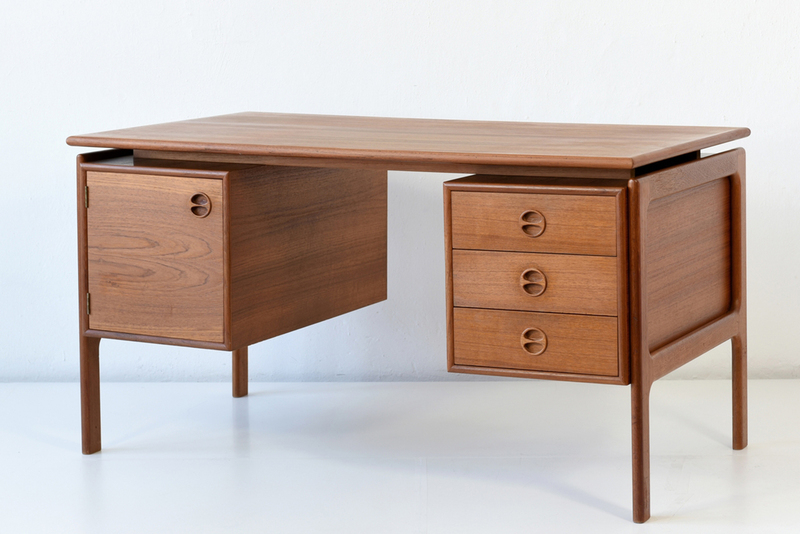 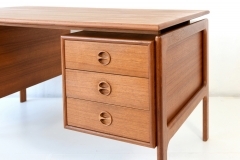 This finely crafted desk is from Denmark around 1960. Under the plate is a fire stamp "GV Made in Denmark" visible. 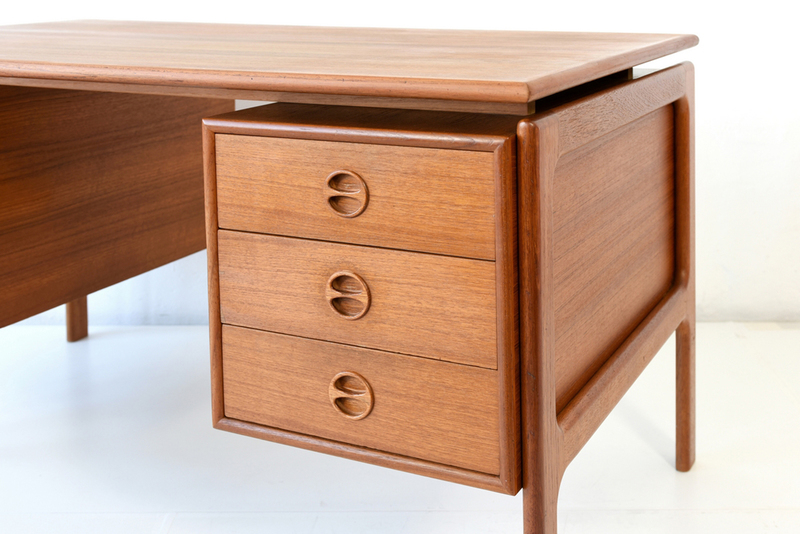 The desk has carefully crafted details such as teak - handholds. 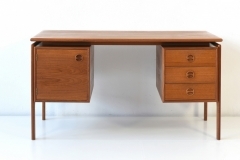 The condition can be described as very good.